Each year, tens of thousands of people across the country are injured—and approximately 5,000 are killed—in accidents involving large commercial trucks such as big rigs, 18-wheelers, semis, and tractor trailers. Some of those truck accidents, injuries, and fatalities occur right here in Georgia. According to the most recent National Highway Traffic Safety Administration data, nearly 200 people died Georgia truck accidents in 2016. Due to the vast disparity in size and weight, collisions between passenger vehicles and large trucks are almost always catastrophic. Sadly, the passenger vehicle occupants tend to suffer the brunt of the damages. Victims may be left with devastating injuries that require extensive medical treatment and time off work, and result in unmanageable medical debt. Georgia law allows truck accident victims to seek compensation for medical expenses, lost wages, loss of income, pain and suffering, mental anguish, and other damages. Were you injured in a Georgia truck accident? Here's what you need to know to protect your right to recovery. 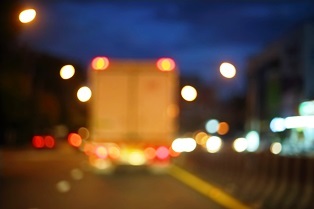 Truck accidents are traumatic events that leave people feeling extremely shaken up and confused. But despite this, victims have their post-accident actions and behavior scrutinized by everyone from insurance adjusters to defense attorneys. What action truck crash victims take in the moments, days, weeks, or even months following an accident matters because of the significant impact it can have on their ability to collect fair financial awards. Knowing which pitfalls to avoid, as well as how to gather essential evidence, can help truck accident victims strengthen their cases. Photos and/or video from the scene of the accident. This evidence should focus on the positions of the vehicles involved in the crash, as well as any relevant road or weather conditions. Photos and/or video of accident-related injuries. The sooner victims can visually document their injuries, the better. Contact, employment, and insurance information from the truck driver. While exchanging information with the commercial driver, victims should also make a note of whether he or she seems noticeably tired, distracted, or under the influence of drugs or alcohol. Contact information for people who witnessed the accident. Having this information on hand from the get go makes it easier for a victim's attorney to contact people who may be able to testify on their behalf. In commercial truck accident cases, injuries and other damages tend to be significant, which is why it's critical for victims to have effective legal counsel. The skilled personal injury attorneys with Van Sant Law can help Georgia truck crash victims understand their legal rights and options, and fight for the financial recovery they deserve. If you were hurt in a truck accident that wasn't your fault, contact us today to schedule a free initial consultation.